About 60 billion dollars is spent by pet owners on their pets each year. Researchers actually dedicate time and resources to do studies to confirm cat person and dog person stereotypes, figure out if dogs or cats have human-type emotions (duh, of course they do), and other super important catdog stuff. There are hashtags on Twitter and Instagram devoted to cats and dogs and there are hundreds of cat and dog fan pages on Facebook with tens of thousands of followers. And do you know anyone who, according to their profile pic, looks EXACTLY like their pet? Oh sorry – that IS their pet. They switched out their profile photo for one of Fuzzball or Siegfried. As an animal lover myself who is relationship-minded, I think about what being a pet person says about me, you, or anyone. I know people who don’t live with animals. They have reasons. Lifestyle, allergies, expense. 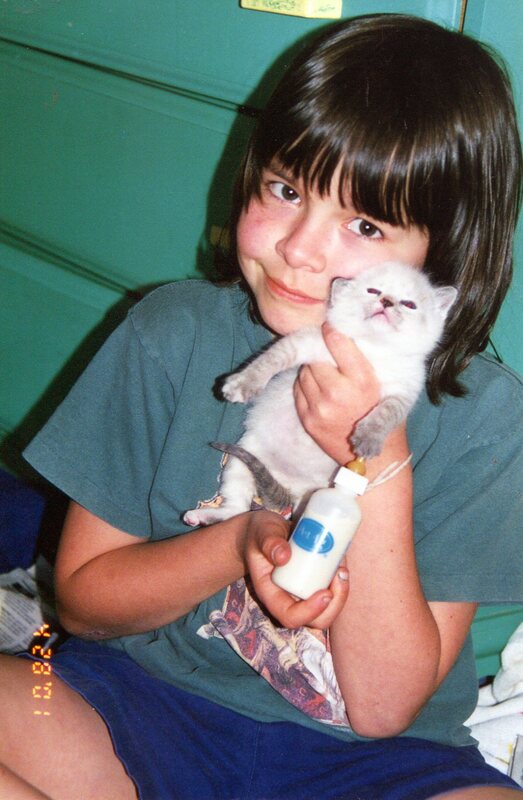 Personally, I have lived with an animal every day of my life since I was 6 and got my first cat. (I named her Venus.) Well, except my first year of college when I was in a dorm. That was the year that Venus died, within weeks of my leaving her. That says a lot about the pet-person bond. My familiar as a bottle fed kitten. (With my daughter.) 15 years ago. And I still remember the grief I felt at having left her, broken her heart, and not been with her when she died. Why? Because I am like most people who own a cat or dog. To us, that animal is A) a person and B) a family member. And yes, research has been done on this. So as you chat up the guy in line at CVS or scroll through your matches on whatever dating website you prefer, take note of those who love a dog or cat. Or both. Or several. Here are a few reasons being in relationship with a pet lover is a good idea. This is not so much about cat-people or dog-people qualities as it is about #catdogloversarecool. Compassion. 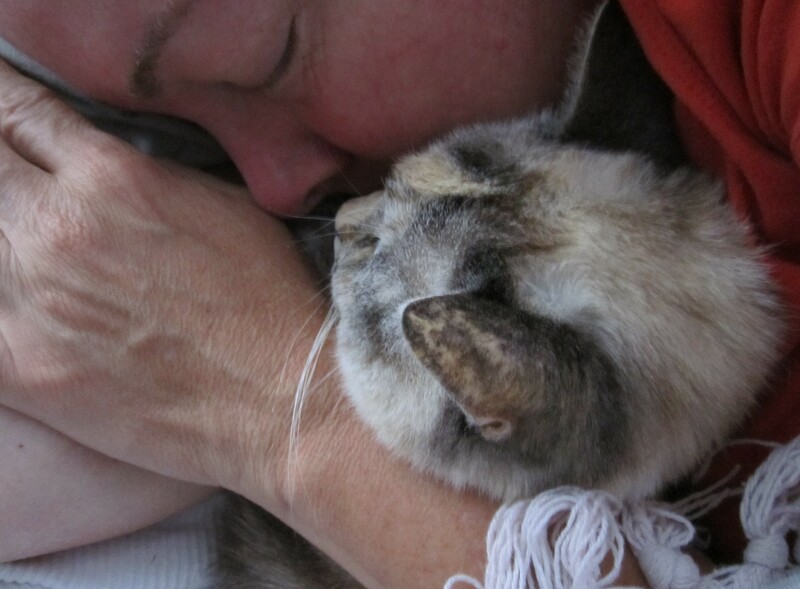 People who live with and love pets are (usually) genuinely compassionate. Remember how much money people spend on their pets? And not just that, people truly feel for their animals. When Rover is sick, his person is sad. When we leave Fluffy at home for the weekend we feel… a bit guilty, even though our neighbor is feeding her. Dating a pet owner is more than a little likely to hook you up with a person in touch with some sweet emotion. Loyalty. It is a truism that dogs are loyal. Cats can be too, but that might depend on how long you let the food dish stand empty. But pet owners are definitely loyal. For sure. They look out for a totally 100% dependent person known as the cat or dog (or guinea pig or horse or goldfish). The pet owners who toss their pets away when they become inconvenient are the rare exception. Most people will jump through any number of hoops to ensure their furry person is happy, healthy, and available for a hug at any moment. Enjoyment of life. Whether you are a cat or dog person, you know that pets teach us to cherish the moment. How can you walk in the woods with an energetic dog and see her bounce and run and chase and frolic without feeling happy? How can you resist the pure delicious pleasure at that moment when you’ve just sat down with a cup of hot tea and the cat tiptoes onto your lap and curls up into a fuzzy ball of purring? The moments of life are so often enhanced when shared with an animal, and if you find someone to love who loves animals—you’re golden. 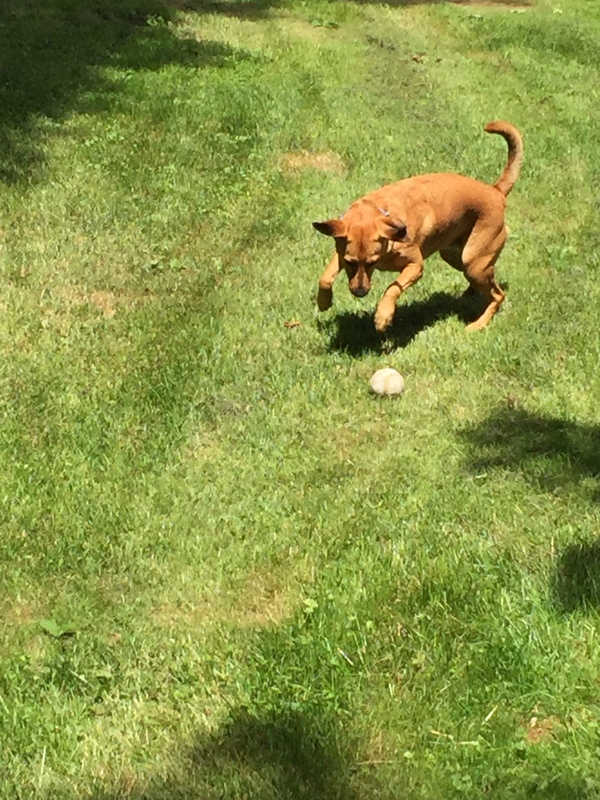 My grand-dog enjoying life as she knows it, with ball. Intuition. It’s no guarantee, but there is reason to think that a person who lives day in and day out with someone who can’t speak (aka dog, cat, or other fur/hair covered quadruped) will be more likely sensitive to non-verbal cues. Plus, dogs and cats are great at reading people, reading “the room,” and in general figuring out what’s up. 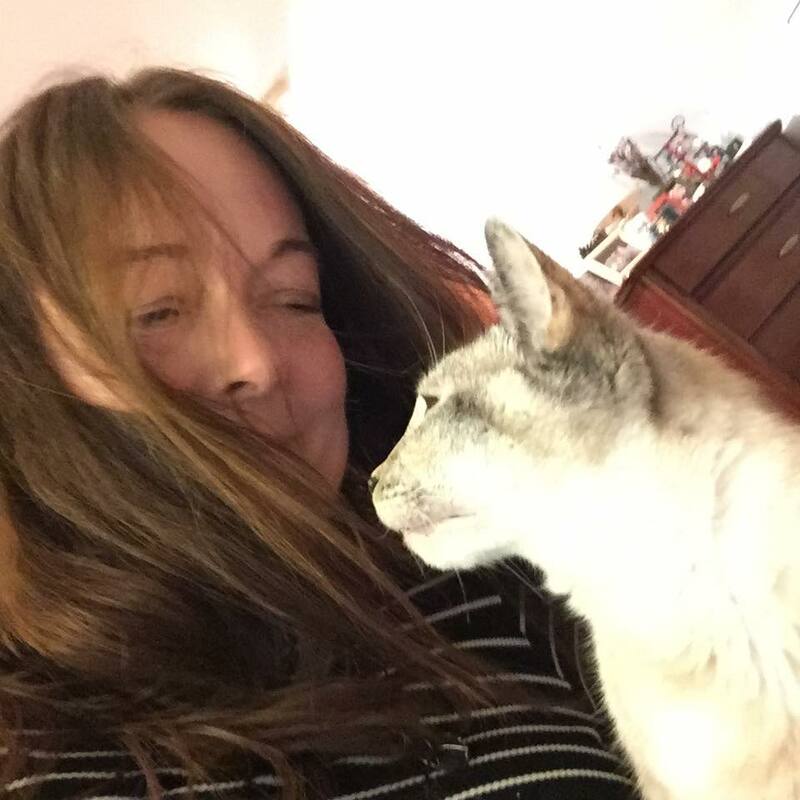 When your super friendly cat hisses at the delivery guy (or your I-love-everyone dog growls at him), and then that guy asks you out, you have to wonder…. Anyway, it’s always best to SAY what you want in a relationship, but if there is any intuition to be found, I’d guess a pet owner will have it. 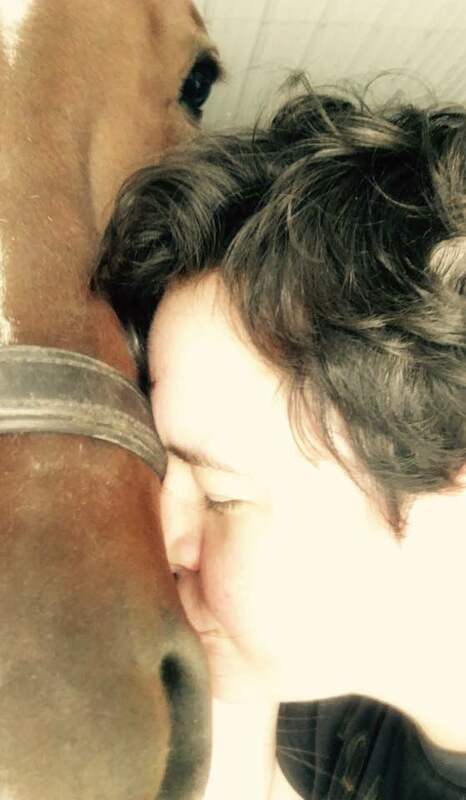 My daughter cuddling and kissing a horse last week. Another factor to consider is that you can tell a lot about people by how they treat the animals under their care. Most pet owners are wonderful, kind, and loving, but there are some who… not so much. So, if you drive up to your new girlfriend or boyfriend’s house and see the dog chained to a tree 10 feet from his water dish, back out of the driveway and get away, fast. I wouldn’t race out and buy a pet just to get a date, nor would I make pet-owning a deal breaker. 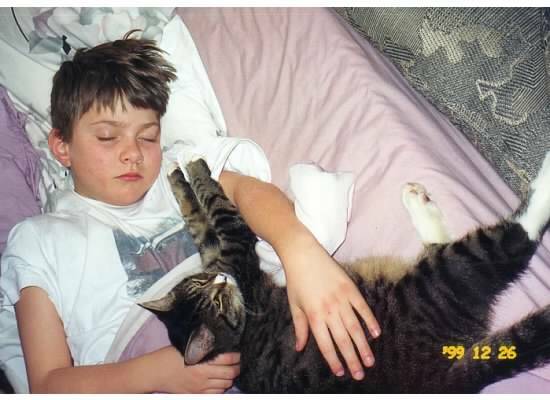 But personally, I’d be hard pressed to love a guy who didn’t love my cat. Or at least appreciate her fine qualities. Just sayin’. 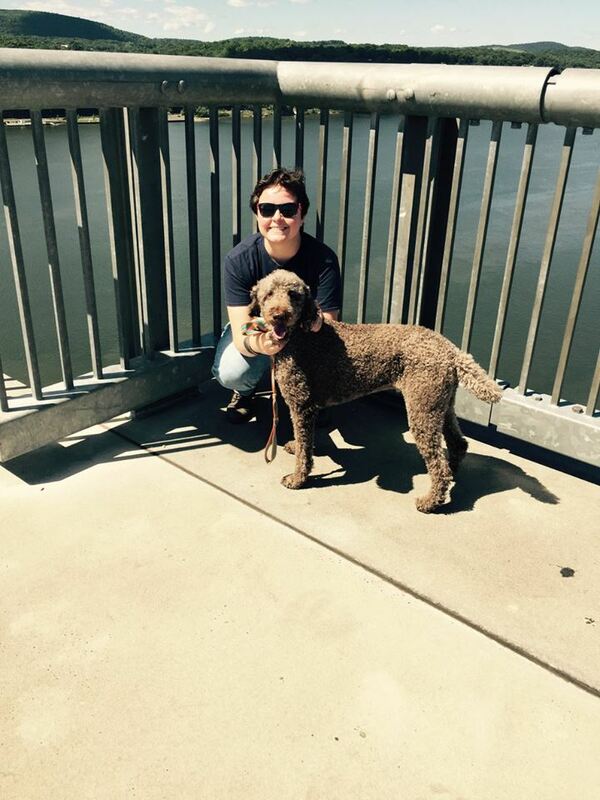 A favorite dog of ours, out for a walk.